It shouldn’t have to be this way, either. 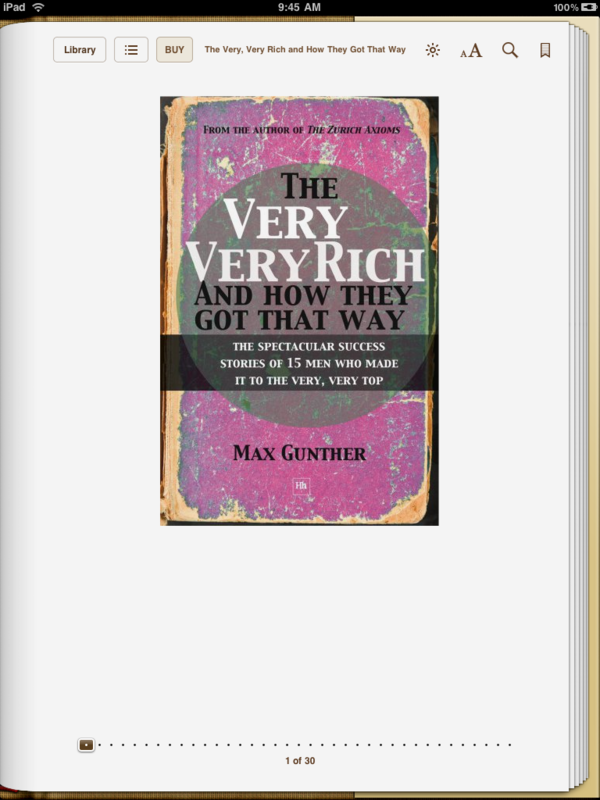 Harriman House thought so highly of the late Max Gunther’s long out-of-print books that they’ve gotten not only the print rights, but the eBook ones too. 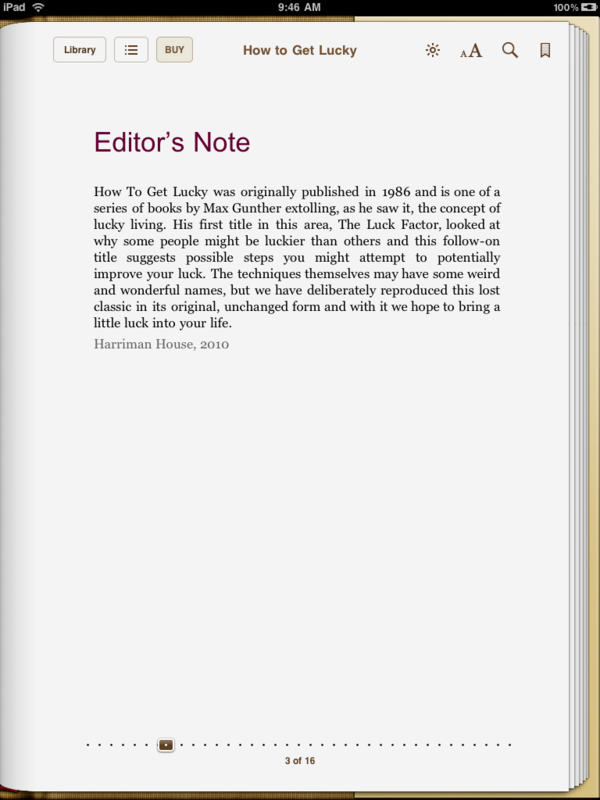 While the print editions are probably very readable, the eBook ones are just a disaster. 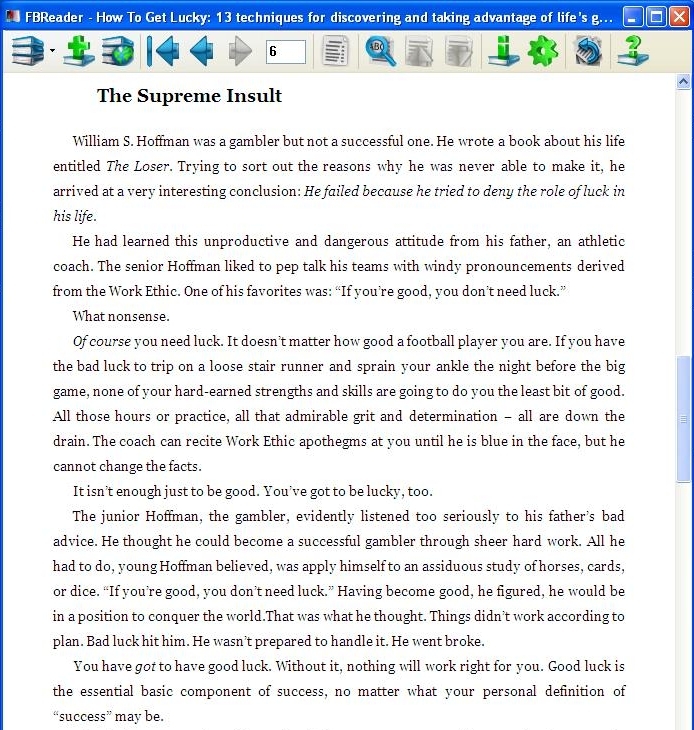 Thanks to Moriah Jovan, I’m able to compare screensnaps of the bad Kindle formatting with iPad screensnaps I took from an ePub version sample available at the iBookstore. While the cover’s dimensions are suitable for an 600×800 eInk screen, the cover is lost in all of the whitespace of the iPad’s larger screen. Publishers need to create large eye-popping covers for tablets. Notice how it all clumps together in the Kindle version and even has some very bizarre line breaks! 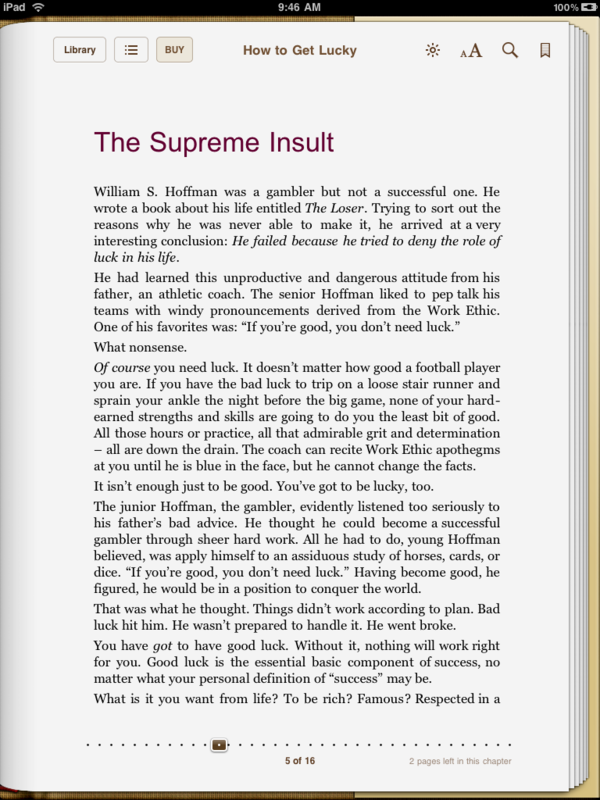 No blank lines between the block paragraphs, as there would be in a proper print version. No publisher would even allow that in a professionally-produced print version, so why let it pass here? Notice however that the line is now left-aligned, not right-aligned! It’s just about all one block of text! What were they thinking? Notice that the iPad tried to insert some spacing between the paragraphs. But this is still bad formatting and should be redone. Really, just a line of asterisks as a separator? Do proper dingbats cost more? I don’t think so. An amateur would do that line of asterisks back in the days of IBM Selectrics and Liquid Paper. 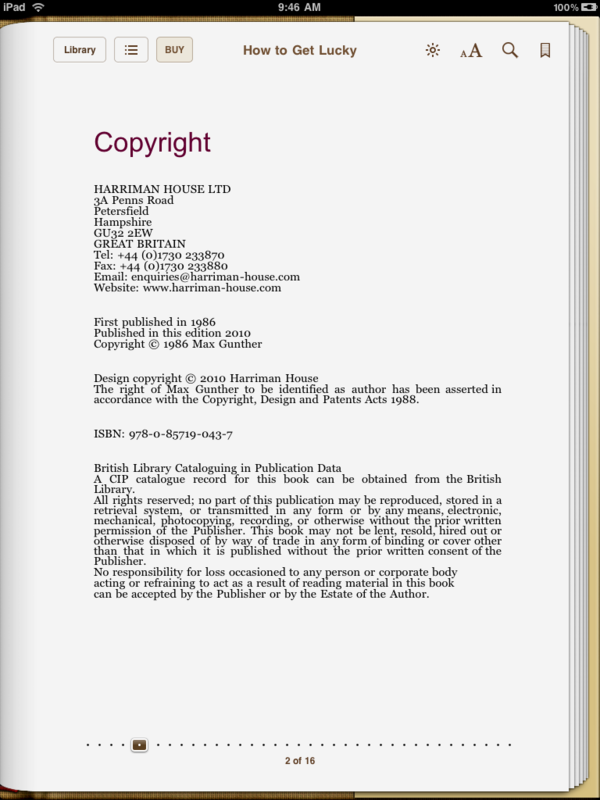 It has no business showing up in the 21st century in an eBook! So they can get proper frikkin paragraph indents, they just didn’t bother to do the little bit of extra work that would take.